You can’t get a Nobel prize for starting a bank, can you? You can if that bank proceeds to attract 7.2 million families, provide them with micro-loans, homes and education. You certainly can if you help millions of people lift themselves out of poverty. This morning, at the behest of Jeanine “J.P.” Parker, we attended a talk by Nobel Laureate Dr Muhammad Yunus at the Milken Institute in Santa Monica. It was inspirational, humorous and powerful. 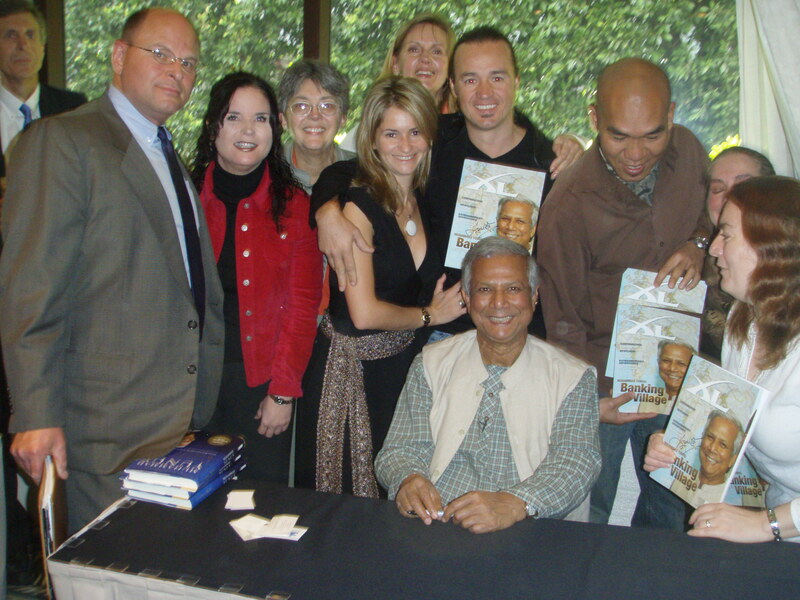 Dr. Yunus, very well known for his work in Micro-finance in his home country of Bangladesh, spoke for around forty-five minutes about his experiences and his ideas for the future. Elise and I arrived in Las Vegas a few days ago and we are having an outstanding time. We have been at a number of XL events in Los Angeles over the last week and last night we had an excellent evening with the Life Members here in Las Vegas. I am also looking forward to my first ever visit to XL in Mexico city in a few days. It is surprisingly cold here in Vegas now and deceptively sunny. Look out the window and you will be sure that shorts and sunglasses are the order of the day. Sunglasses, yes, shorts — only if the are under your snow pants!